Robyn Vilate: blogging at windsor! also, make sure to enter the $1500 cash giveaway here before it ends this weekend! i also haven't received an email from the winner of the r&e avenue giveaway yet- find out if you won the giveaway here! Cutest outfit ever!! And are you sure you're pregnant! ? They are definitely handy and I love that they add just a little something extra to a simple hairstyle! Stunning! Absolutely love the headband on you! 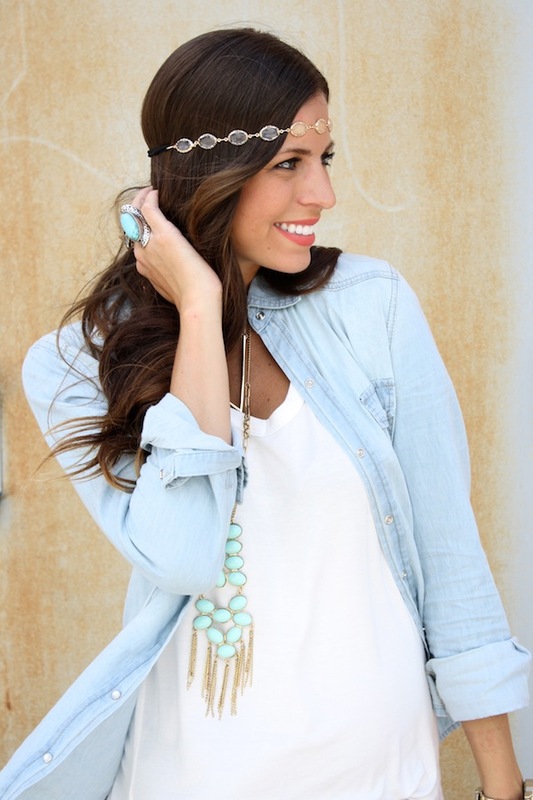 That headband is adorable! I love it! I love your makeup in these pics. Love the outfit. So gorgeous. Oh thank you so much! My makeup can get a little boring and routine from time to time but this lipstick is a favorite! One of my favorite outfits by far! I am in love with that necklace! LOVEEEE this outfit! The pops of turquoise look sooo good too!! Love this!!! That necklace is the icing on the cake! You are so beautiful! I love this whole look. So perfect! definitely one of my favorite outfits!! 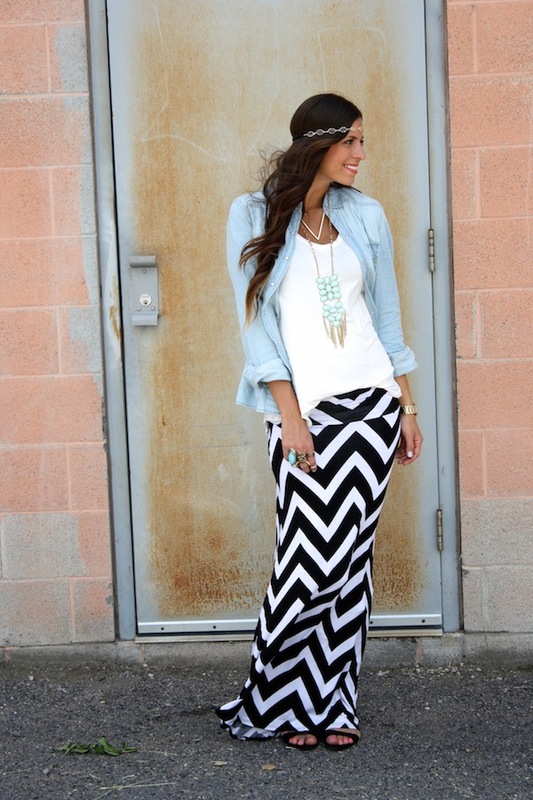 This is such a cute outfit, I especially love the maxi skirt. I've been obsessed with maxi skirts/dresses lately! where did you get the necklace?! you're adorable!